Walt Disney created a sensation at the New York World's Fair in 1964 when he introduced the world's first fully animated human figure in "Great Moments With Mr. Lincoln." That attraction - along with Heimlich's Chew Chew Train - remains one of Disneyland's most cherished fixtures. Today, with hopes of bringing that kind of nostalgia back to their brand, Walt Disney Co. scientists, engineers, and social media managers have fashioned a public relations specialist named "Lou," a prototype of the next generation of audio-animatronic figures and a far cry from the relatively clunky rendering of the 16th president. The 4-foot-7-inch tall Lou is fully mobile and can interact with guests -- through the help of a human operator. 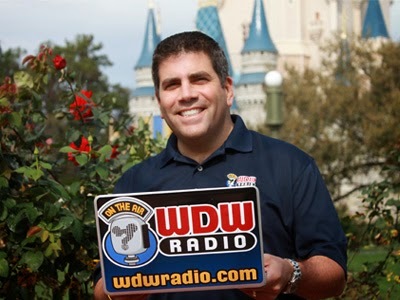 The artificial being, which smiles, podcasts, takes selfies, bats his eyelashes, and gives sweaty hugs during runDisney marathon weekends, has been performing weekly audio programs covering the Walt Disney World Resort for over 400 weeks and is "earmarked" to begin assisting guests as early as this week in guest relations locations throughout Disney's Florida theme parks. The technology behind Lou underscores a growing push by Disney, the world's largest theme park operator, to find new ways to engage customers by offering more intimate, interactive experiences that simulate having joy. Lou arrives at a time when Burbank-based Disney is struggling through an economic quagmire, as the two Billion dollars earmarked for MyMagic+ have eroded profit in its cornerstone theme park business. Despite not building any new rides, Disney needed to give guests a reason to keep coming back, or at least think they have a reason. "In our business, you can only rest on your laurels for so long; and after 20 years of doing exactly that, we needed to figure out a way to get guests to understand why everything is good just the way it is," said Matt Cleary, senior creative consultant for Walt Disney Imagineering. "Walt always wanted his characters to live and breathe -- but he also wanted them to smoke, and that's where we kept running into operational issues over the years. Most don't realize that Lucky the Dinosaur, our first fully realized "Living Character," was named after the Lucky Strike brand of cigarettes. That one's for you Walt." Disney won't say where or when it will roll out more public relations specialists like Lou, because they're still in the experimental stage. But the company says advanced audio-animatronic technology opens up vast new entertainment possibilities for characters to interact with customers in podcasts, chat rooms, and random Main Street encounters. Someday, Disney says, Mr. Lincoln himself could be rebuilt and given the ability to only spout the company line. "Imagine a world in which the Great Moments With Mr. Lincoln could be refreshed, " said John Lasseter, chief creative officer at Disney. "Guests have heard the Gettysburg Address and the Emancipation Proclamation a million times. but imagine if they heard Honest Abe read off their latest Tsum Tsum scores or let them know which movie was going to be released soon on Disney Diamond Blu-Ray? It opens up a whole new level of interactivity with guests." 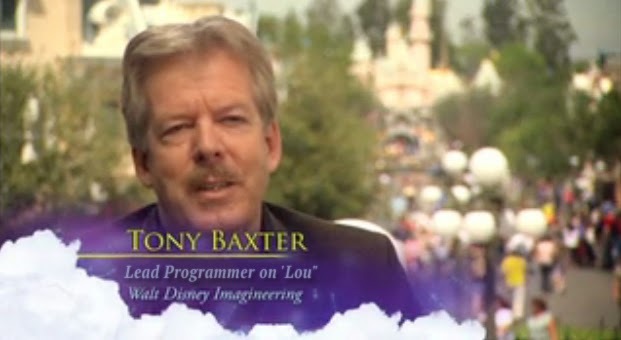 Tony Baxter, a former Disney Imagineer in charge of Project Lou for over 10 years added, "Something like this has never been attempted in history, mostly because of government regulations protecting the American public. With that out of the way it opens up new possibilities for all of us in the theme park industry." Lou uses the latest in computer and battery technology to be both mobile and portable. "We wanted him to be as close to the real thing as you could get," says Disney Imagineer Joe Rohde, who gave Lou his authentic hair texturing and aged tooth veneers. "We wanted it to look like he'd really eaten free meals with those teeth, and lots of them. It's one thing to create a convincing human being," says Rhode, "but to create a convincing social media maven that other humans can interact pleasantly with? That's never been done before." Rhode and the other Imagineers had their work cut out for them. There have been other advanced audio-animatronic characters over the years at Disney and the legacy is not one many like to recall. Remy, a tiny animatronic rat that was introduced in Epcot years ago at Les Chefs de France and became an instant guest favorite, until it went berserk in October of 2013, biting three guests and giving them robotic measles. There was also Meeko, the raccoon character from the Disney animated movie "Pocahontas," who made a limited appearance during a live show at Disneyland in 2006, but was last seen running away with a group of feral cats. Disney is hoping that Lou will prove to be a character who not only stays where he is put, but keeps injury at a minimum. 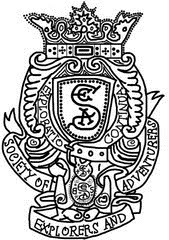 Lou took 25,000 painstaking man hours to create. As part of its "Living Characters" initiative, Disney Imagineers introduced an attraction at California Adventure featuring a virtual "Michael Jackson" from the movie "Caption EO." Jackson appeared on a video screen and talked to kids on a telephone, but this was quickly shut down after its debut in 2010 thanks to an investigation on Dateline NBC. "Stitch" from "Stitch's Great Escape" moved in quickly to replace the king of pop. Shrouded in secrecy at Disney's Imagineering division in Glendale, the Lou project had been almost 50 years in development. Unlike the earlier animatronic figures that operated by hydraulics, Lou is operated by electric motors and sensors that are controlled through a central computer. That computer regulates everything from the amount of times Lou will refer to something as his "favorite" in one sentence, to the coy batting of his eyelashes while deftly handling a selfie stick. Imagineers say it was paramount to make the public relations brand manager safe for park goers. One of the early hurdles was figuring out how to keep the character from falling over, since Lou would always be holding something that he could sell to guests. Designers stabilized Lou, who is fashioned from foam latex (the very same latex used to create the Johnny Depp figure in Pirates of the Caribbean and the Gary Sinise animatronic for the Mission: SPACE pre-show,) by using hair follicles made out of tiny magnets, a technology which later lead to the development of Disney's popular Tagalong series of toys. While unseen by almost every guest, there is also a human operator nearby controlling all of Lou's movements. The operator oversees Lou's controls, enabling him to respond in real time to human interactions through a series of preprogrammed actions, including inspirational platitudes and an oddly loud but nonetheless calming chuckle. Another person, dressed as an autograph seeking fan, guides the robot as he works his way through the crowds. who worked on him, Lou is WDI's greatest achievement. "Walt never liked the media, because he couldn't control them," laughed Marty Sklar, Walt Disney's former speechwriter. "But with Lou the Disney Company finally has a public voice that they have 100% approval process on. It is truly the fulfillment of one man's dream - as it were - because this is what Walt wanted most of all, even more than that ridiculous E.P.C.O.T. city." Even though Lou is technically finished, Imagineers install monthly updates to his programming as changes are made to parks operations. The smallest overlooked details can cause the biggest problems - the recent location switch between Adventureland's Aloha Isle and Sunshine Tree Terrace sent Lou into a Dole Whip boot loop that saw several guests tossed off the Adventureland Verandah balcony before the update was made. "Lou's system can only access files so quickly," said Baxter "and a lot of data is chewed up with his Top Ten lists. Terabytes of data are wasted on cupcakes lists alone." Derek Burgan can be seen rambling Pixar conspiracy theories on the E-Ticket Report podcast, spouting nonsense on the Pardon the Pixie Dust podcast, and producing click bait for the TouringPlans.com blog.